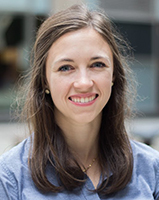 DOWNERS GROVE, Illinois—The Foundation is pleased to welcome Kaitlyn Balsewicz as our new development officer effective Monday, March 5. In her new role, Kait will coordinate Foundation events and assist with all aspects of donor engagement as well as the Foundation's marketing and communications efforts. A resident of Winfield, Kait previously worked at Interfaith Youth Core (www.ifyc.org) in Chicago as its foundation relations manager. There she collaborated with senior staff to prepare compelling reports and proposals for funding partners, stewarded a grants portfolio of national and family foundations through which she secured more than $7MM in revenue during her tenure, and identified new funding partners through prospect research and relationship building. She is also a dedicated volunteer to and past development intern for Bridge Communities, Inc. (www.bridgecommunities.org) in Glen Ellyn. 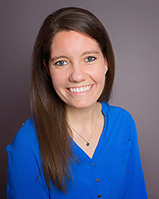 "As a life-long resident of DuPage County, I am thrilled to join the DuPage Foundation staff," said Kait. "I look forward to connecting with our diverse and passionate community and encouraging a culture of philanthropy throughout our County." Kait holds a Bachelor of Arts in religious studies from St. Norbert College. For more information about the Foundation, visit www.dupagefoundation.org. To arrange future media opportunities, please contact Michael R. Sitrick, JD, vice president for advancement, at 630.598.5285, or mike@dupagefoundation.org.